In the middle of the nationwide roll-out of brand new 5th generation (5G) networks and the addition of millions of new cell phone antennas, the discussion about possible health effects of man-made “electrosmog” is nearly absent from mainstream media. It has become pretty clear that the electromagnetic fields (EMFs) emitted by our wireless technologies might increase risks of cancer in the long run, and the recent 2018 findings of “clear carcinogenicity” in rats in mice by the $25 National Toxicology Program study made that connection even stronger. But what about the short-term effects? Can you get symptoms from just being exposed to a simple wifi router, cell phone, tablet, smart meter, or cell phone tower? 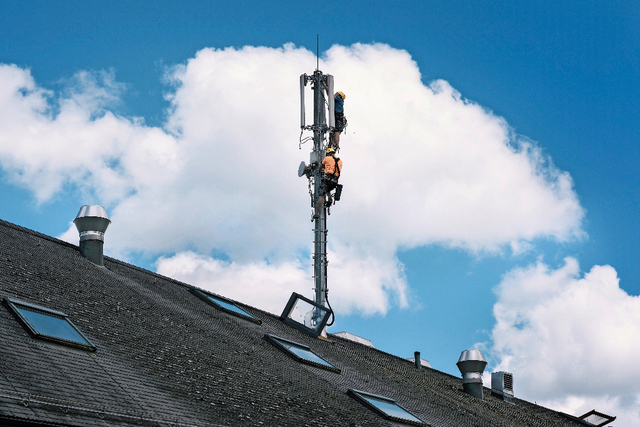 Why Isn't the Canton of Geneva Protecting Its Population from the Risks of Wireless Radiation? In the canton of Geneva, no one wants to take responsibility to protect the population, especially vulnerable persons, from exposure to electromagnetic radiation. 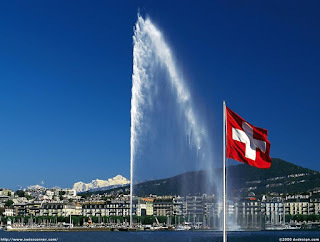 Recently, we wrote to the government official responsible for health in the canton of Geneva, Mauro Poggia, enclosing a copy of ARA's letter to the State Administrator in Geneva, Esther Alder, which is posted on this blog. "You therefore understand that it is impossible to apply constraining limitations for users in our canton. Moreover, my department does not have the competence to issue specific recommendations in this domain. It is in fact the Federal Office for Public Health... which is solely competent to issue norms and directives concerning use of emitters of non ionizing radiation. I however note that scientific studies published to date in editorial policy journals declare the absence of danger to public health in general. 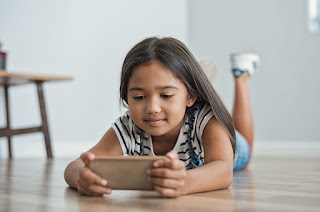 This guest post is written by Richard Freed, Ph.D., psychologist and author of Wired Child: Reclaiming Childhood in a Digital Age, and Meghan Owenz, Ph.D., assistant teaching professor at Penn State University and founder of ScreenFreeParenting.com. 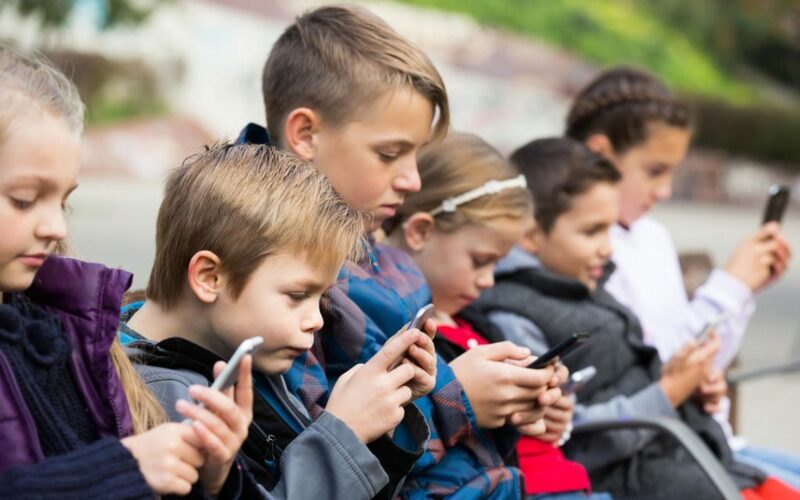 Parents, educators, and healthprofessionals around the world are expressing frustration and alarm that children are being lost to video games, social media, and phones. What’s vital to understand is that children’s fixation with gadgets and entertainment applications is by design. Actually, a relatively new concept called persuasive design. Video testimony also available within this article. 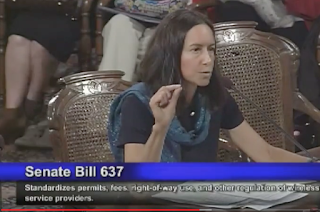 The Facts: Dr. Sharon Goldberg, an internal medicine physician & professor gives her testimony regarding the dangers of electromagnetic radiation. She says: “Wireless radiation has biological effects. Period." Reflect On: Are you aware of the dangers of 5G and 4G radiation from our internet, cell phones and computers? What do you do to mitigate these effects? Do you limit your exposure to these items throughout the day? “We have been discussing this issue in Japan,” said Masao Taki of the Department of Electrical and Electronic Engineering at Tokyo Metropolitan University, who was a member of ICNIRP from 1996 to 2008. Taki, who is usually well informed on national EMF/RF policies, did not offer any other specifics. He is not alone. Many insiders would not comment at all. The few who were willing to talk insisted on anonymity. Will Censuring Colleagues Who Work in Tech Save Kids from Screen Addiction? Italy Fines Apple and Samsung EUR 15 Million Over 'Planned Obsolescence"
The practice breached articles 20, 21, 22 and 24 of Italy’s Consumer Code in that the companies failed to inform consumers of the serious malfunctions that the new firmware could cause due to the greater stress placed on the device's hardware and the high repair cost of out-of-warranty repairs connected to such malfunctions, added the regulator. 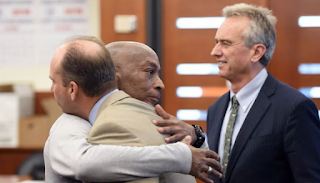 For full text, in article, click on right-hand side of "Article options" - "Download PDF"
Growing uncertainty about how San Francisco Superior Court Judge Suzanne Ramos Bolanos would rule in Bayer’s appeal of the Monsanto cancer verdict was resolved Tuesday morning, as the judge upheld the jury’s decision that the glyphosate-based weedkiller (Roundup) sold by Monsanto caused a California man’s terminal cancer and that Monsanto intentionally hid its dangers. 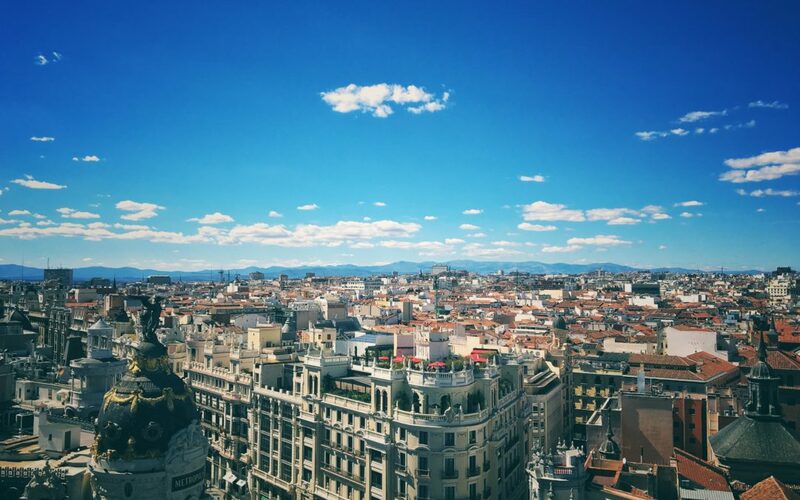 We would like to warmly thank the Spanish association for “The right to health of people electro and chemo sensitive (EQSDS)” for its invitation to participate on November 5, 2018 in a conference organized around the theme: “5G and health in the information society “. 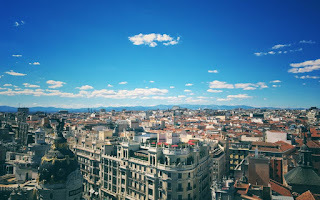 This meeting is held in the premises of “The Madrid Press Association (APM)”. The President of PhoneGate Alert will speak of: “PhoneGate: health and industrial issues of a global scandal”. 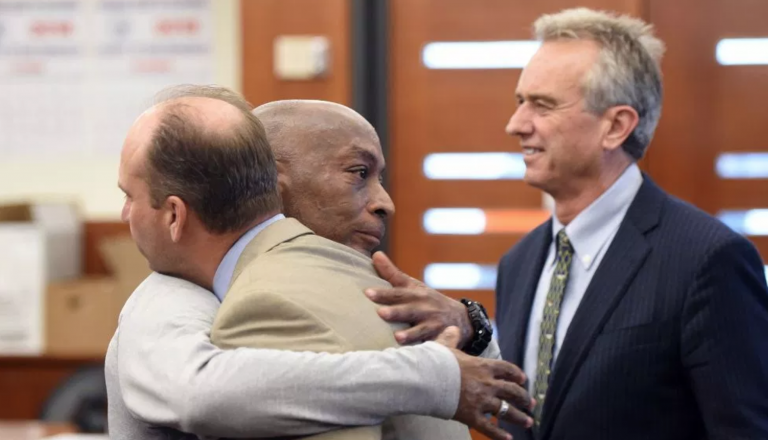 The judge’s ruling on Monday largely sided with Dewayne “Lee” Johnson, a father of three and former school groundskeeper, who won a $289m awardover the summer after alleging that his exposure to Roundup weedkiller gave him cancer. 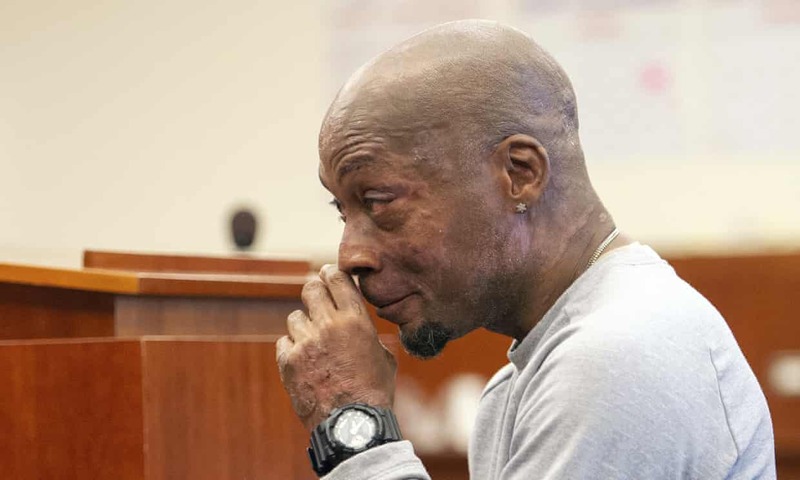 During the trial, the first of its kind, the 46-year-old also alleged that Monsanto had failed to warn him of the risks of using its product. This list is a compilation of citations for 1,670 peer-reviewed papers about electromagnetic fields (EMF) published in scientific journals from 1979 through 2018. The list includes all papers that PowerWatch published on its website as of October 11, 2018. This is not a comprehensive list of studies. PowerWatch selected these studies from their internal database of 15,000 (approx.) scientific papers, most of which address EMF. 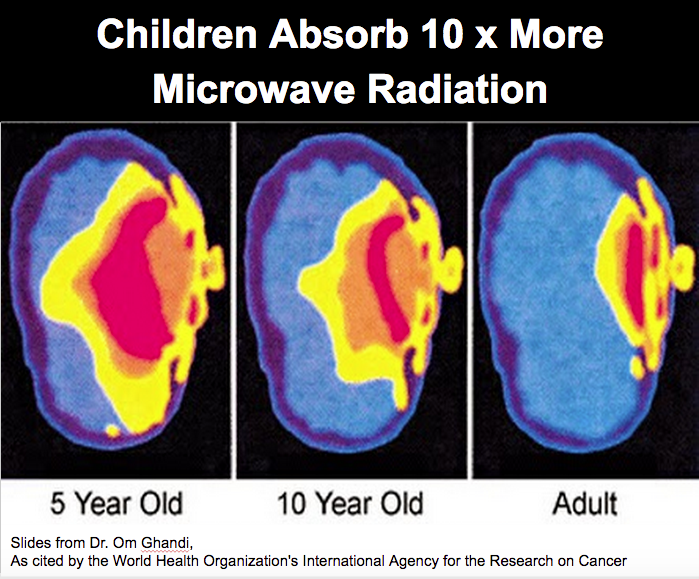 Powerwatch has been researching the links between EMF and health risks for more than 25 years. 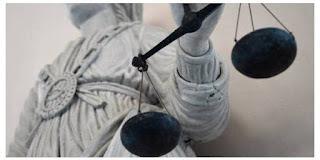 The organization, which is completely independent of government and industry, gathers information to help the lay person understand this issue. For more information about PowerWatch go to: https://www.powerwatch.org.uk/docs/aboutus.asp. Powerwatch recently added a search engine to its website which enables the user to search specific fields in their database for specified time periods. This list is published on the Electromagnetic Radiation Safety website with the permission of Alasdair Philips, the Science Director and co-founder of PowerWatch. Switzerland: Motion 18.3856: "For a better consideration of health in the mobile telephony sector (I)"
This is an unofficial translation from French. The Federal Council is responsible for not raising the limit values applicable in Switzerland, not even due to a new measurement procedure. 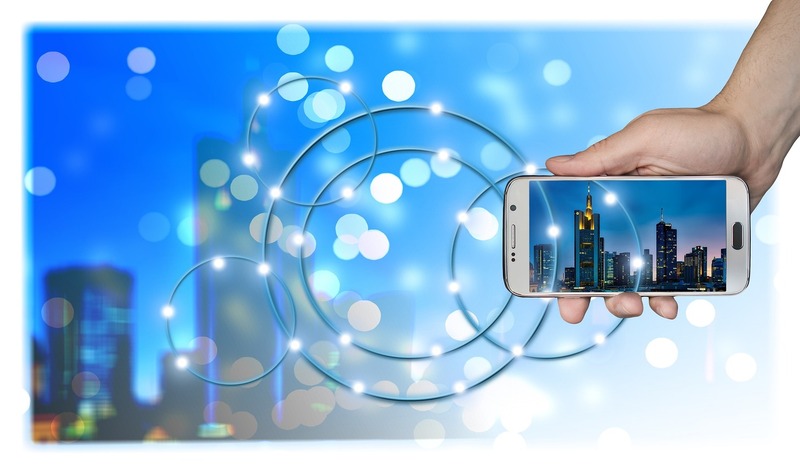 In order to prepare for a technological shift, an alternative to 5G must be sought immediately, the main objective being to separate outdoor mobile telephony from mobile telephony inside buildings. By publishing his final report on the "MiniWatt" project on 18 March 2003, Professor Werner Wiesbeck made public the potential for such a dissociation: outside buildings, the radiation was about 100 times lower. Inside, the cabling of the Internet connection (via optical fiber or coaxial cable) eliminated the radiation. The above-mentioned dissociation would also be an effective measure to save energy. Today's mobile phones must use unnecessarily high power, electrical energy and radiation to penetrate building insulation - and this is particularly serious in the case of 5G. but is the American Public Fully Informed? 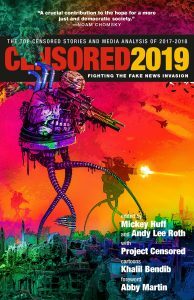 For both reporters and scientists, frank and candid discussions of telecommunications science has become a third rail – – touch it and you perish. 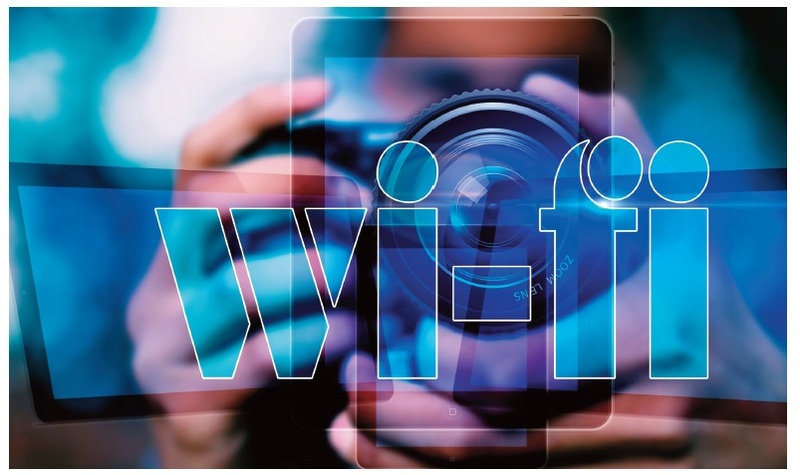 Last month PC Magazine reporter J.C. Dvorak highlighted important gaps in understanding of new technology, in “The Problem with 5G.” 5G is the highly touted system that will connect the internet of things allowing your coffee pot, refrigerator, and garage door to talk to your cell phone. 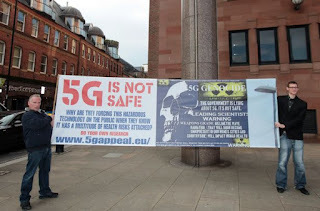 Dvorak revealed that 5G is still on the drawing boards but will employ both the current wireless frequencies of 3G and 4G and add in higher millimeter wave frequencies which can uniquely penetrate the eyes and skin.Moreover, these frequencies have the distinction of having been field tested as a military weapon for crowd control. 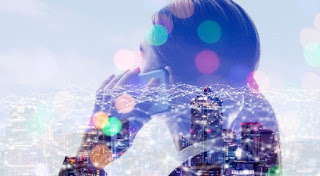 Soon after his report appeared both Dvorak and his article were summarily removed and replaced with “What is 5G“ –an article boasting of growing markets for 2019. The consumer must be able to decide for himself how he wishes to equip and light his private premises. Generally, he chooses a healthy, warm and safe light. A free and independent country like Switzerland should be able to offer a range of light bulbs. However, it is the State that decides which bulbs can be used. Wikipedia is an encyclopedia, so neither a dictionary, nor a space for personal advice, promotion, etc. 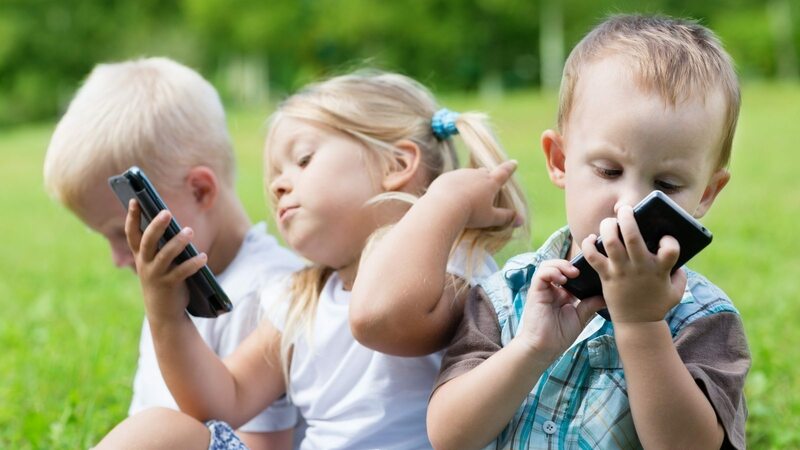 How Does The Modern Technology Affecting Our Kid’s Health? Technology! It is the single most thing that influenced the existence of the human in the last 100 years up to a very great extent. It is everywhere! Smartphones, tablets, personal computers and so on. Our life is surrounded by technology and our children are using it at home, at school, we can say everywhere. Let’s find out how technology is affecting our kid’s health. Technology has changed virtually every aspect of our life right from the way we work to the way we socialize in our daily life. Although it has so many benefits when used responsibly like it can help us connect with others and find the answer to our questions and helps us to improve our productivity. We can create, communicate and build. Sure, we love that what the modern age of advanced technology has provided to us. But like most of the things, there are always two faces of the coin, good and bad. It completely depends on us that how we use the particular thing. There are some negative impact from technology if we overuse it, having serious consequences into our children’s lives and affecting their mental health. Dr. Hardell is asking scientists, medical doctors and NGOs to join his EMF call on November 1, 2018 asking the UN, and WHO and governments to update and consider medical guidelines for wireless radiation. "Call for Truly Protective Limits for Exposure to Electromagnetic Fields (100 kHz to 300 GHz)"
Dear Scientists, Medical Doctors and NGOs. The International Commission on Non-Ionizing Radiation Protection (ICNIRP) issued draft Guidelines on July 11, 2018 for limiting exposure to electric, magnetic and electromagnetic fields (100 kHz to 300 GHz). These guidelines are unscientific, obsolete and do not represent an objective evaluation of the available science on effects from this form of radiation. ICNIRP’s opinion and guidelines are unscientific and protect industry, not public health. New truly protective guidelines are needed. 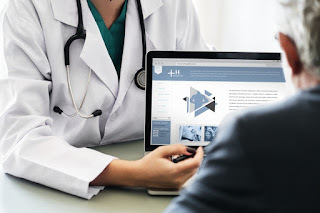 We ask the United Nations, the World Health Organization, and all governments to support the development and consideration of medical guidelines, that are independent of conflicts of interests in terms of direct or indirect ties to industry, that represent the state of medical science, and that are truly protective. As chairman of the Aerotoxic Association (AeA)*, I am writing to the International Criminal Court The Hague (ICC) to provide it with crucial evidence in a matter of public interest concerning health and safety in jet aircraft. In May 2018 the AeA called for updates, evidence and testimonies from the international public and aircrew, in addition to the countless testimonies already received since 2006 concerning the issue of toxic substances contaminating cabin air in Public Transport aircraft. 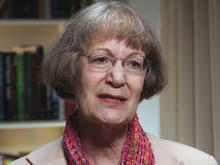 United States: Sidelined Children's Health Official, Dr. Ruth Etzel, Says EPA Inaction Means "Kids Are Disposable"
Sixteen new papers on electromagnetic fields and biology or health, courtesy of Joel M. Moskowitz, Ph.D., Director, Center for Family and Community Health, School of Public Health, University of California, Berkeley. Dr. Moscowitz has been circulating abstracts of newly-published scientific papers on wireless radiation and electromagnetic fields (EMF) about once a month since August, 2016. Several hundred EMF scientists around the world receive these updates. Since he has received numerous requests to post the abstracts on my EMR Safety website, he has compiled the collection into a document which now contains more than 500 abstracts (including the papers below). Consumers seem mostly indifferent to the pending roll-out. 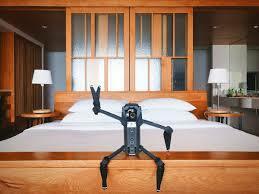 38.1% of respondents reported that they weren’t excited about the new technology. Our poll results indicate there seems to be a real opportunity in delivering home broadband using 5G, but more consumer education is required. T-Mobile stands to gain the most here. With largely-untested new “millimeter-wave” frequencies a key to components 5G, it’s likely that carriers will see resistance to roll-outs of the small cells required to blanket the country with the new technology. Every second person finds himself on the phone too often. Excessive use of mobile phones in Switzerland is shown by exclusive data from the consulting firm Deloitte. A recent survey from the consulting firm Deloitte, exclusively available in the SonntagsBlick. 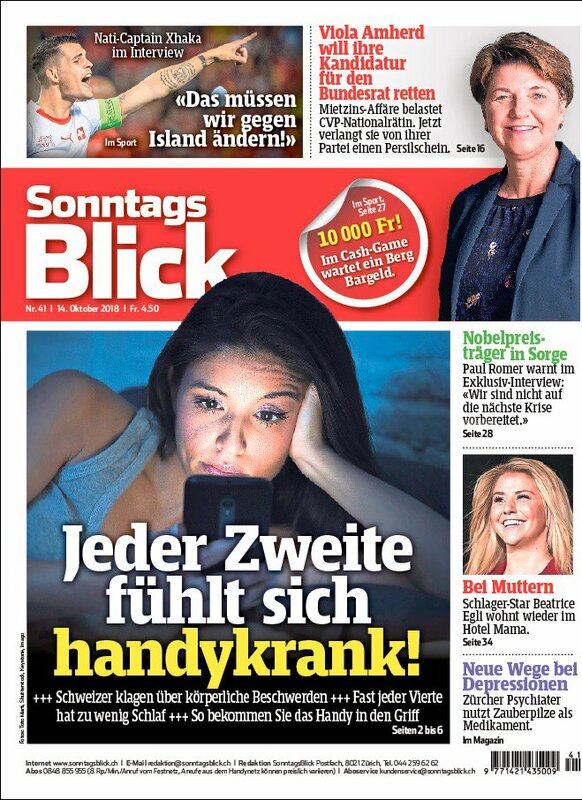 shows that 48 percent of Swiss cell phone owners find that they use their smartphones too often . In the 25 to 34 year-old age group, it is even two-thirds. 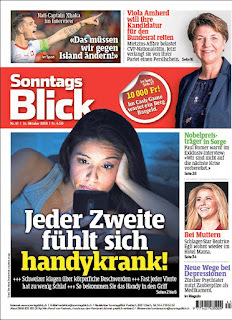 Four percent of Swiss wake up at night to check their mobile phone - 8 per cent in the 25 to 34 year-old age group. Generally, younger people are more likely to be on the phone. In addition, it can be deduced from the data of Deloitte: The larger the phone, the longer owners use it. Scientists do not agree when discussing cell phone addiction. 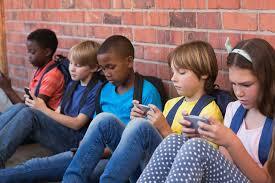 U.S. studies define it as an addictive behavior when someone reaches for their cell phone more than 60 times a day. The average American adult checks his phone more than 200 times a day. 3. Case Reports are accumulating of young women with no family history getting a diagnosis of breast cancer. The tumors were unusually located directly underneath the skin where they placed their cell phones in their bra. Click on the images below to view a Powerpoint Presentation on Tiffany Frantz and her struggle with breast cancer after storing the cell phone in her bra for 5 years and to read an open Letter from Traci Frantz. She hopes that you will read her letter at a Council meeting to raise awareness of this issue. Breast cancer in young women is increasing in Geneva. This trend has been confirmed by studies in other parts of Europe. Could one of the reasons be the habit of young women of keeping their cell phone tucked in their bra? The makers of cell phones warn users to avoid direct contact with the skin. The manual of Apple, for example, advises keeping one’s iPhone at a distance of 5/8 of an inch from the body, since these devices emit electromagnetic radiation, classified as a possible human carcinogen by the World Health Organization. In the United States, doctors are seeing more and more breast cancer in women aged 21 to 39, who have no genetic predisposition to cancer but who, for several years, have been carrying their cell phone in their bra for part of the day. These tumors are sometimes aggressive and, in spite of a mastectomy, the cancer metastasizes. Keeping a cell phone in the bra is more common than one would think among young women: during jogging, driving a car, hiding it at school and at work… Raising awareness of young women of the risks of this practice must now be a part of campaigns for the prevention of breast cancer. 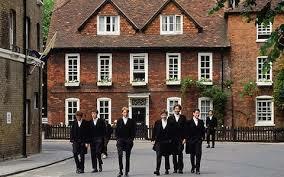 Eton College is facing a backlash from teachers after banning students from using mobile phones in the classroom. Simon Henderson, headmaster at the £40,000-a-year school, wrote to parents at the start of the academic year to announce the ban, which he said would be introduced as a trial. But the move left some of its teachers “spitting” with anger, with one senior master criticising it as “Luddite” and “Amish”. Joe Francis, an English teacher at Eton College, said the experimental ban caused some consternation among masters who see mobile phones as a useful teaching aid. 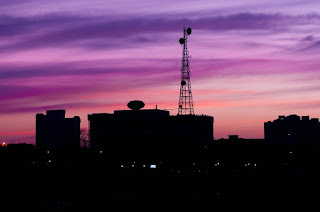 T-Mobile recently announced that its new 5G network, already underway in 30 cities, will be available on its prepaid service in 2019. 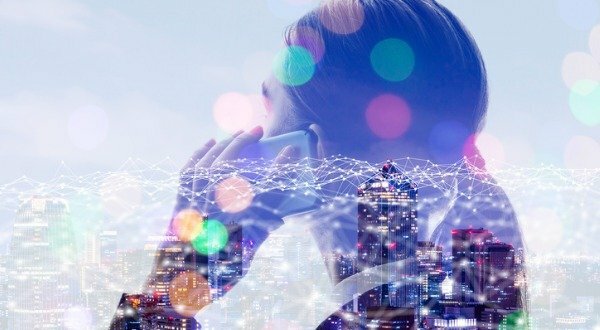 As carriers race to build the 5G networks of the future, one must ask: is 5G safe? Here are the basics: 5G stands for 5th Generation. It’s simply the latest iteration of wireless service. 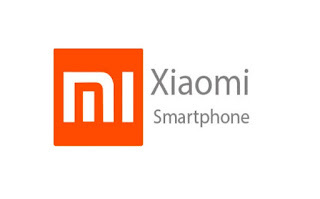 It promises to be faster, and to allow more devices to connect by utilizing higher frequencies, known as “millimeter waves”. These waves have a much shorter range, and so telecom companies will need to build hundreds of thousands of towers to transmit them. The National Council is considering the revision of the Telecommunications Act. 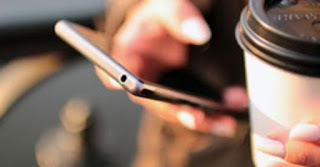 Some provisions reducing the exposure to waves of mobile telephony users could be ruled out, for example, the installation of cables instead of Wi-Fi to connect to the Internet. In 2011, the International Agency for Research on Cancer classified radiofrequency electromagnetic (EM) fields as possibly carcinogenic to humans (Group 2B). The Wi-Fi emits the same type of waves. Today, there is enough evidence to reclassify these waves as carcinogenic (Group 1). The law would also not ensure the protection of children and young people from the dangers associated with the use of telecommunications services. For decades, U.S. agencies have followed a policy that no threshold of radiation exposure is risk-free. 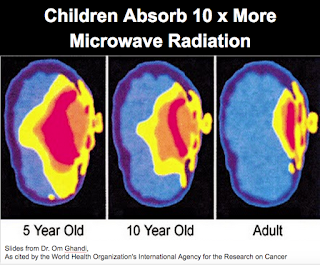 Decades of research supports this on both ionizing and non-ionizing (cell phone and wireless WiFi) radiation. Insurance companies have caught on and it has affected the way they do business. But who cares, right? The “Race for 5G” and the implementation of “Smart Cities” in the U.S. is basically allowing the Telecom Industry (aka Big Wireless) to install harmful radiation emitting 4G and 5G small cell towers and other wireless infrastructure both above ground and below in residential yards, public rights of ways, etc. Many elected officials and government employees seem to be sold on doing this because they keep introducing, pushing and passing federal legislation that prevents municipalities from stopping installation. 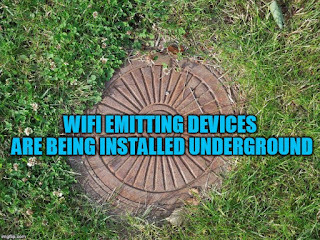 This is happening despite widespread scientific opposition, municipal government and citizen protest, lawsuits threatened and filed by various organizations, and health effects (on pets and people) already being reported where it’s been installed. 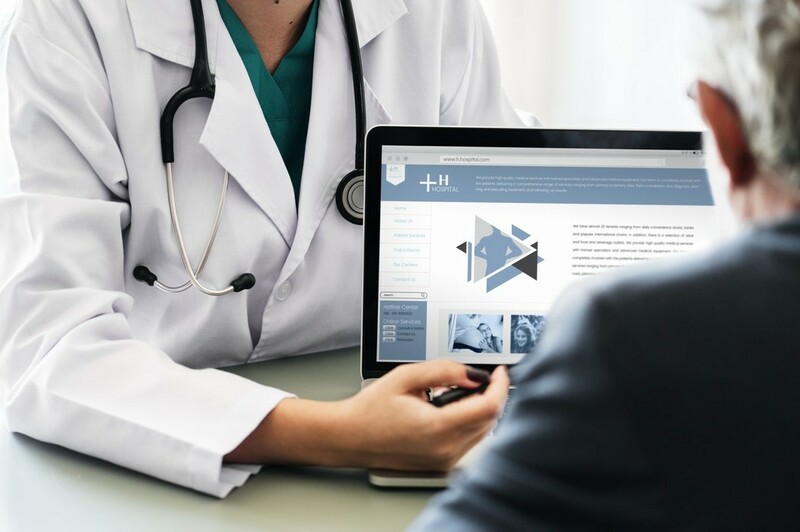 An initial medical assessment had concluded that there was "psychiatric" discomfort caused by "anxiety disorders" unrelated to the work environment. 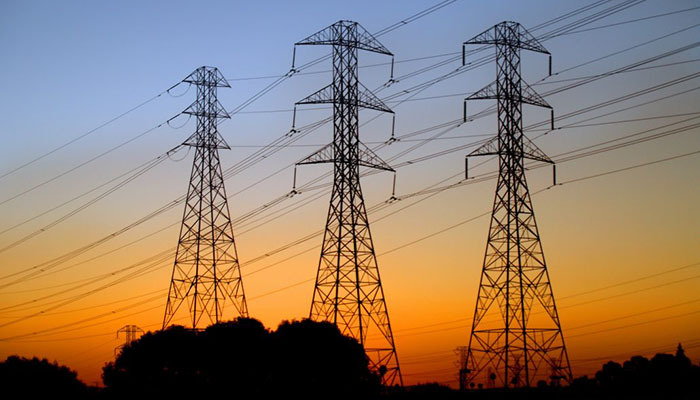 A man diagnosed with electrosensitivity was found to be a victim of a work accident due to his intolerance to electromagnetic waves by the Yvelines Social Security Affairs Court (Tass). This customer service technician from a telecommunications company was the victim of a malaise on November 6, 2013 at his workplace. Emerging Risks: Does Electromagnetic Hypersensitivity Present a Current or Future Claims Risk? As technology has increased, there has been an inevitable proliferation in the number of electromagnetic and radiofrequency field sources that people are exposed to on a daily basis. These include Wi-Fi, power lines, mobile phones and masts, IT equipment and other electronic devices. This excellent editorial should inspire other people to contribute letters and opinions on electromagnetic radiation and electrohypersensitivity to newspapers. We have done so here in Suisse Romande. My symptoms include headache, pressure in my skull, eye pain, visual distortions, insomnia, anxiety, extreme fatigue, dizziness, palpitations, and immune system dysfunction. 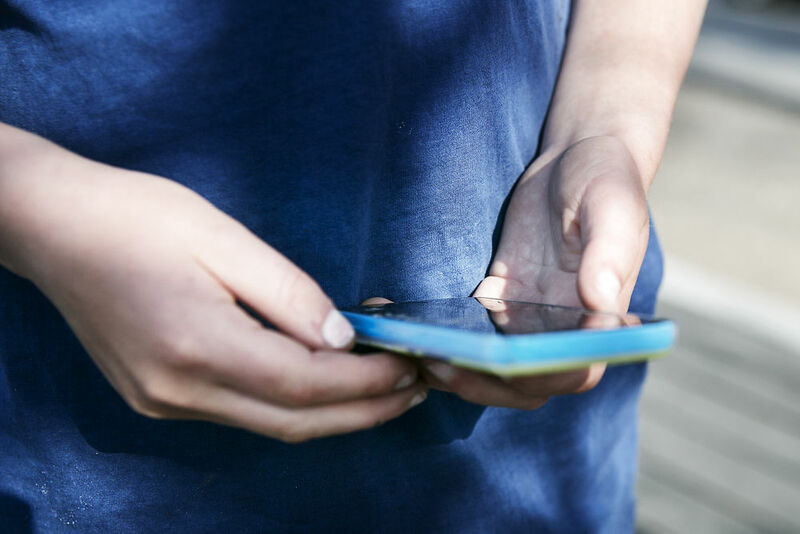 A high proportion of Denmark’s schools have chosen to implement rules against smartphones in classrooms, after the government decided against national legislation on the area. The three parties with the largest number of MPs – the Social Democrats, Liberal (Venstre) party and the Danish People's Party – all said earlier this year that they consider rules on phones at school to be up to local authorities. The former two parties said they were open to a discussion of a national measure on the matter in future, but not at the present time. Only 12 percent of schools in Denmark now lack rules on mobile phones, according to a series of spot checks by the Ministry of Education. How Many Doctors Get Training in Non-Ionizing Radiation related Health Effects? Human exposure to man-made non-ionizing radiation (NIR) has skyrocketed over the last few decades. 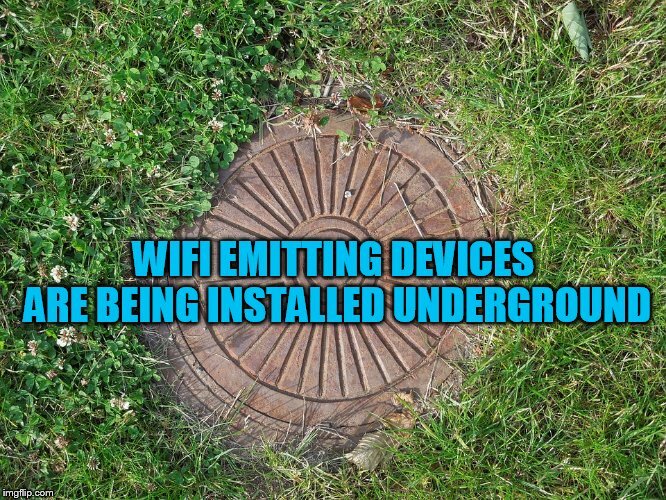 The prime example is microwave range radiofrequency electromagnetic radiation (RF-EMR) that has increased by over 10 to the 18 times from extremely low natural levels due to widespread deployment of wireless communication and surveillance technologies. While there is ongoing scientific debate over the health impact of this environmental pollutant that has demonstrated significant biological/health effects in several thousand peer-reviewed publications, notable medical organizations have declared that people are getting sick from chronic exposure to currently permitted levels or at least accepted health risks, recommending exposure minimisation. 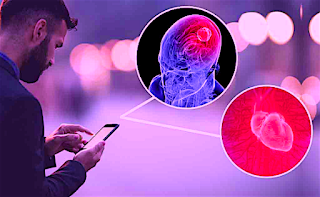 There are now published guidelines for diagnosing EMF/EMR-related health problems from the European Academy for Environmental Medicine and the Austrian Medical Association. The world is wired. Thanks to the Internet of Things (IoT), pretty much every electronic device we own can now talk to each of our other devices. While it might seem fun to be able to adjust settings on your refrigerator from your cell phone or track brush strokes from your e-toothbrush app, the IoT comes with a brand new set of vulnerabilities as well. Last spring, a computer security company revealed that hackers had stolen a casino's entire database of high rollers by exploiting vulnerabilities in an Internet-connected aquarium. 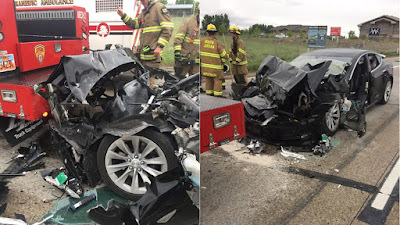 What happens when cheap IoT devices can drive your car off a cliff or give you poisons instead of medicine? In Click Here to Kill Everybody: Security and Survival in a Hyper-Connected World, technologist and best-selling author Bruce Schneier argues that the emerging ability of connected devices to move and influence the physical world has created new threats for which we are woefully ill-prepared. Radiation Causes Cancer in Rats. What About Humans? 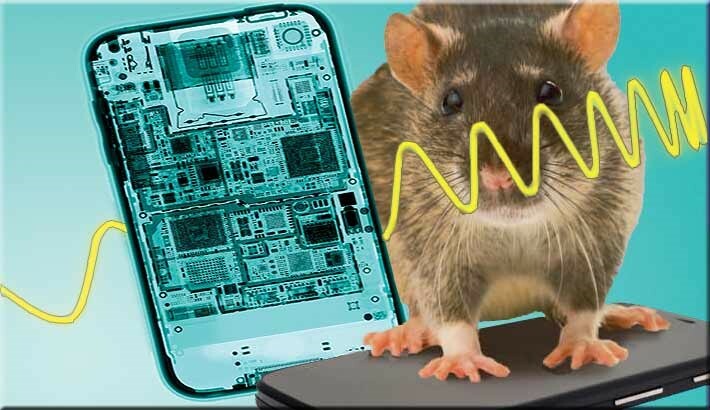 It has been over two years since the National Toxicology Program (NTP) released partial findings from a long-term study of the effects of cellphone radiofrequency radiation (RFR) on mice and rats. As we reported in this column at the time, the report did not suggest a strong link between exposure and cancer in rodents. 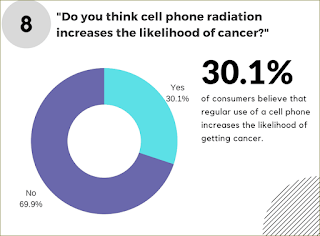 Nor did it speculate on whether cellphones cause cancer in humans, though the study did acknowledge that cellphone radiation is classified as a “possible human carcinogen” by the International Agency for Research on Cancer (IARC). When a draft of the final report was released in February of this year, the evidence linking cellphone RFR to cancer was still deemed “equivocal.” That’s one step up from “no evidence” in the NTP’s scale of evidence. This is an outstanding presentation on EMF and EHS. "Cancer-related and biological justifications for minimising child IR and NIR radiation exposures"
We are very pleased to note that this article contains a section on the Phonegate industrial and health scandal. A March 2018 investigation for the Nation by Mark Hertsgaard and Mark Dowie showed how the scope of this public health issue has been inadequately reported by the press and underappreciated by the public. Hertsgaard and Dowie reported that the telecom industry has employed public relations tactics, first pioneered by Big Tobacco in the 1960s and developed by fossil-fuel companies in the 1980s, to influence both the public’s understanding of wireless technologies and regulatory debates. Top addiction expert is warning parents to avoid giving their children smartphones and tablets, as social media apps can be just as dangerously addictive as alcohol and drugs to children and teenagers. 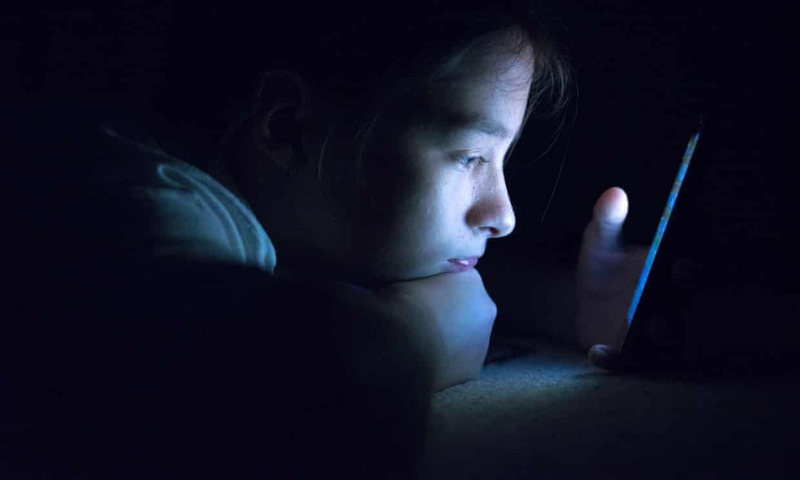 While it might seem harmless for your child to be spending time messaging friends on apps like Snapchat, Facebook, Instagram and Tumblr, this too can become an addiction. According to most recent statistics from communications watchdog Ofcom, more than four out of 10 parents of 12-15 year olds find it difficult to control how much screen time their children get. Highly-compelling presentations from the Health in Buildings Roundtable Conference held at the NIH this summer. All 11 talks are less than 10 minutes for easy sharing; Q&A are also included. Watch the series above or on YouTube here. 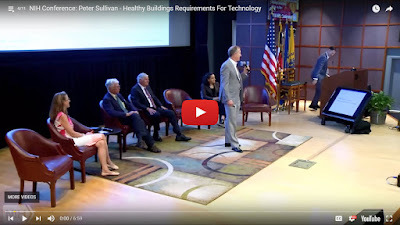 This summer I was honored to be asked to co-chair a technology panel at the Health in Buildings Roundtable Conference which was coincidentally held at the NIH (though not formally commissioned by the NIH). "When their findings don’t fit his business model. 8 Places You Should Never Keep Your Phone: in your pocket, in your bra, in your bed or under your pillow, plugged in, close to your face, in your glove compartment, on your beach towel, anywhere in your bathroom. You’re probably guilty of these. 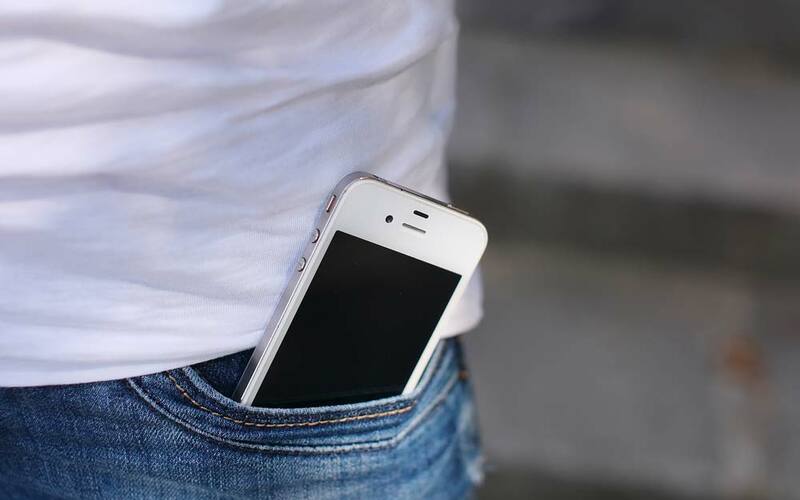 Keeping your phone in your pocket seems logical, but you could be doing more harm than good. According to Lilly Friedman, MD, this is actually the worst place to store your cell phone. 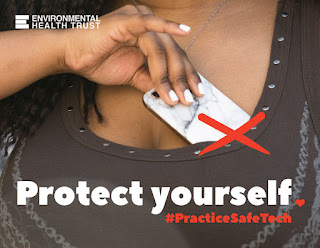 “When cell phones are on, connected to a wireless network, and placed in a pocket, the radiation is two to seven times higher than if it were placed in a purse or holster,” she says. There is a correlation between radiation from a cell phone and tumor growth, she adds. Plus, radiation can change the structure of DNA and affect male fertility, according to Dr. Friedman. The World Health Organization’s International Agency for Research on Cancer also found that cell phone radiation is additionally carcinogenic to humans. Merely sitting on your phone could cause health issues such as sciatica or other back problems as well. development,' said one of the report's authors. Only one in 20 kids in the United States meets guidelines on sleep, exercise and screen time, and nearly a third are outside recommendations for all three, a new study has found. On average, children aged eight to 11 spent 3.6 hours a day glued to a TV, mobile phone, tablet or computer screen, nearly double the suggested limit of two hours, researchers found. Too little sleep and excess screen time were clearly linked to a drop-off in cognitive skills, such as language ability, memory and task completion, they reported in the Lancet Child & Adolescent Health. Parents who possess the resolve to separate their children from their smartphones may be helping their kids' brainpower, a new study suggests. Children who use smartphones and other devices in their free time for less than two hours a day performed better on cognitive tests assessing their thinking, language and memory, according to a study published Wednesday in the Lancet Child & Adolescent Health. The study assessed the behavior of 4,500 children, ages 8 to 11, by looking at their sleep schedules, how much time they spent on screens and their amount of exercise, and analyzed how those factors affected the children’s mental abilities.